A Baby Einstein French language track is included with every single Discovery Kit you purchase along with an English and Spanish track. This company was established back in 1996 by a woman named Julie Clark. She and her husband made the very first video in their basement and she drew the logo at her kitchen table. Little did she know that she was about to launch a business that would take a meteoric rise to the top. In the first year, after launching that first video in January of 1997, 36 stores agreed to stock it. That same year, their 5 page website secured their online presence and success was just a matter of time then. Within the first five years it caught the attention of, and was acquired by, Disney. Disney took it further and if your children watch the Little Einsteins(TM) on the Disney Channel you see how popular it really is. Oprah invited Julie to be on her show in 2002 and with Oprah’s endorsement, Julie’s wonderful product is hailed as the most sought after baby shower gift of that year and beyond. As of 2005, if you buy one of the Discovery Kits, you will find “multi-language viewing options” in Baby Einstein French, Spanish, and English. So, what makes these products so special? Well, Julie Clark intended to teach her child the wonders of the world, in different stages, from infancy to toddlerhood and she decided to share her idea with the world. Julie put herself in a unique position with her ability to look at the world as if she were the child and feeling the sense of wonderment and excitement that every child feels with each new discovery. This is why they are called Discovery Kits and each one comes with a music CD, a DVD and a book or set of Discovery Cards There are three different levels you can buy these kits in for every stage your child goes through. Experience (Level 1), Level 1 kits let you and your infant child experience classical music by Beethoven, Bach, and Mozart that has been altered so it is easier for those little ears to enjoy along with puppets and other images appropriate for your baby. Explore (Level 2), Level 2 kits invite you and your baby to explore the animals they find either in the home or outdoors in nature and in the ocean. Expression (Level 3), Level 3 kits feature puppet hosts including Coco the dancing cockatoo, Vincent Van Goat and Bard the Dragon. with friends like these leading the way, your toddler will learn to move and express herself through music, colors and words. There is even a set specifically devoted to teaching beginning sign language. Your child may be able to learn sign language well before he or she will learn to talk. simple signs are taught so your baby can communicate simple needs or wants effectively. With over 25 different Discovery Kits now available, including Baby Einstein French, Spanish, and English, you and your baby can explore his or her big, new world from their own perspective. 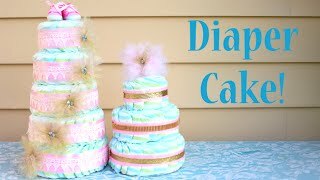 How you can Make A Baby diaper Cake! Perfect Baby Shower Present Concept! when to stop swaddling your infant videos tutorial. Foreign Adoption a Good Option and Foster children. Little Tikes Toddler Beds & Cheap Toddler Bed Sale. Safe Way to Baby proof Your Home Caring for Your Newborn. Toddler Firetruck Beds and more. Big advice In Case of Emergencies. Getting Some Quiet Time at Night and The Power of Story Telling. 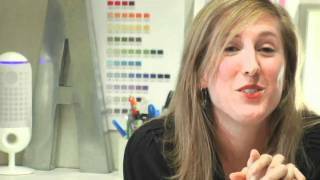 Learning – Sign Language: Helping Your Baby Communicate. The Power of Music and baby music. Spending Quality Time with Your Baby and more. TV Doesnt Really Help you babies. 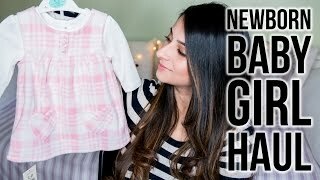 How to – feeding your baby, advice, review, tips and learn. Fish Oil for Your Baby and baby oil. Toys that Enhance Learning and help you baby to learn and much more. Learn to Enjoy Being Pregnant. Bathing and Feeding Your Baby!!! Even Your Baby Needs a Massage – do it yourself. Dealing with Your Infant’s Allergies review. Study – Common Heat Rashes. Info about – When Your Child Suffers from Skin Asthma. DOES YOUR BABY NEED SHOES? – Economical Shoes and review.